DeRosa Racing Enterprises begins. 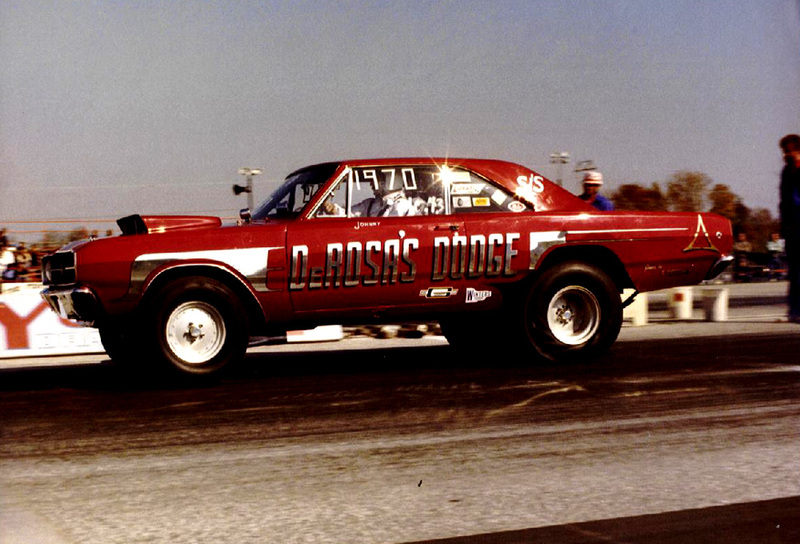 We drag raced two different cars that performed on or close to the national records of the day and were locally quite successful. We also built racing engines, did specialty machine work, and technically consulted with race teams and individuals all over the country. We formed DeRosa Engineering, Inc. We decided to give up racing activities and focus on manufacturing. We became involved with the United States Air Force and began manufacturing flight critical aircraft landing gear parts. Since then we have produced over 100,000 parts and although our company's main function is manufacturing, we are also involved in the design and development of prototype assemblies and other parts most of which have a critical application. 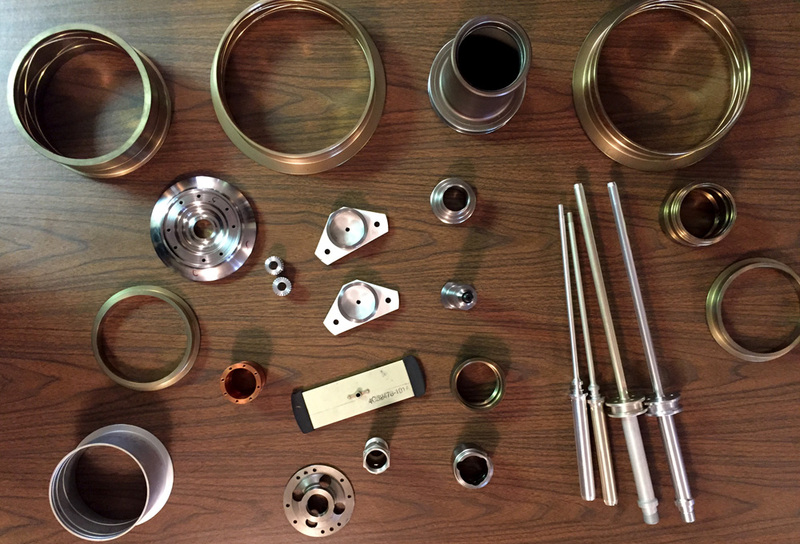 We have manufactured and consulted on many other types of critical parts and assemblies, such as: parts for NASA, high speed roller coaster parts and assemblies, very accurate target shooting fire arm parts and many others. As can be seen, our experience is quite diverse and involves many different types of applications. Currently, we are continuing to manufacture flight critical parts as a government prime contractor, and have earned "Blue Ribbon" status in two national stock groups many times. We certify everything we manufacture to military standards and have a thorough quality control system in place. The manufacturing of these parts most often requires the use of special tooling some of which is not available for purchase. So, we have designed and manufactured many different types of these special tools. The concept of the "Musclechuck™ assembly" was born out of necessity for exactly this purpose. A special tool holder was required for a particular job that could accept several ½ in cutters. It was to be mounted and used in a CNC lathe with live tooling. An operation was performed then the tool was exchanged in the special holder several times. It saved us a lot of time and frustration from the usual task of changing tools. On occasion, we also do minor woodworking and the use of a router is required for several operations. We faced the same problem of changing cutters. So, we redesigned that special CNC tool holder to fit on our router and hence the "Musclechuck™ assembly" was born. We have invented and developed a totally new high speed quick change router chuck but more about this later. 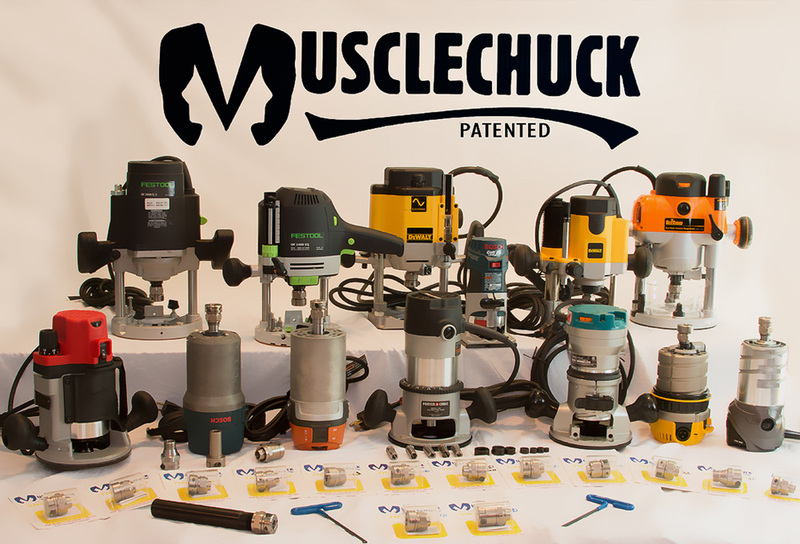 It is called the "Musclechuck™ assembly" and when you examine the specifications of this new chuck, you will understand why we chose that name.